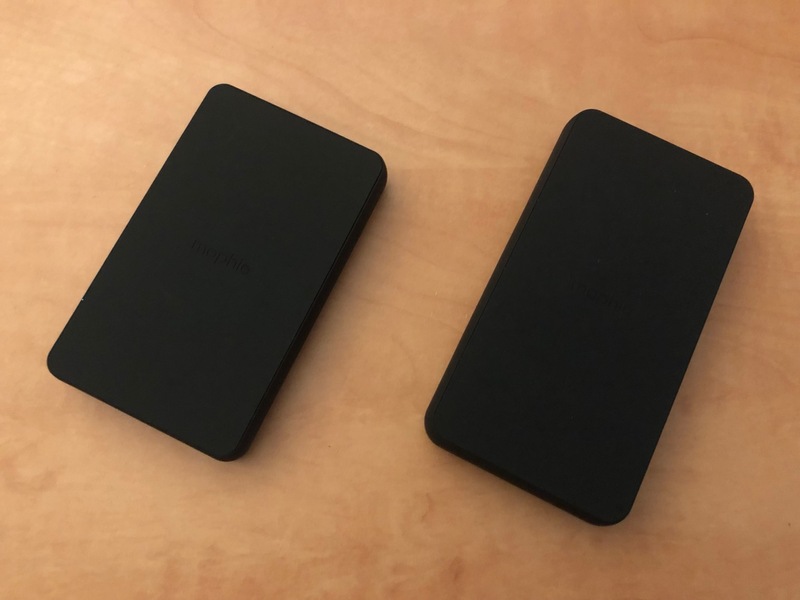 As with almost all of Mophie’s battery packs in a given family, these differ only in size and capacity, so we’ll be considering them together. 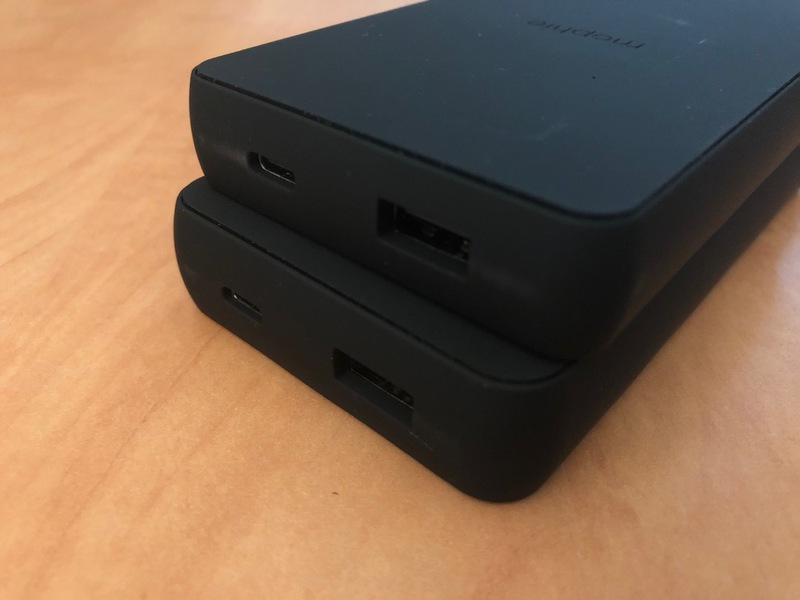 The smaller version, Charge Stream Powerstation Wireless ($80) comes in at about the size of a deck of cards and packs 6,040 mAh of juice, while its bigger brother, Charge Stream Wireless XL ($100), takes it up to 10,000 mAh in a larger form factor that’s basically the size of an iPhone XS, albeit considerably thicker. 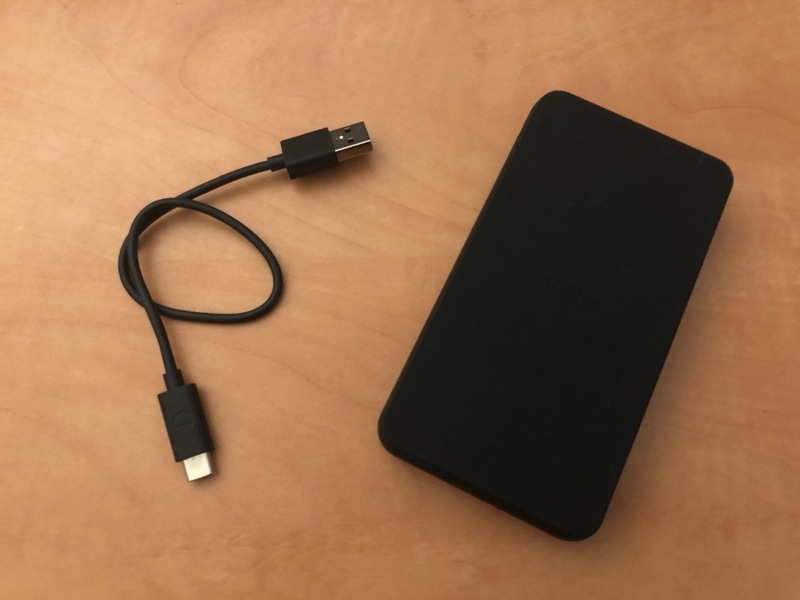 Both battery packs include a nine-inch USB-A to USB-C cable for charging, but you’ll have to supply your own USB power source; Mophie recommends a 2.1-amp charger for best performance, although you can recharge the battery packs from even a computer USB port, albeit it more slowly. Note that both Powerstation Wireless packs only put out a basic five watts of wireless charging power. The Charge Stream Powerstation Wireless battery packs are the opposite of Mophie’s earlier Powerstation XL Plus; the earlier model could charge from any Qi wireless charger, but only output over a wired connection, while the Powerstation Wireless must be recharged via a wired connection but otherwise acts as a Qi-compatible wireless charger for your iPhone. If you’re curious like we were, yes, you actually can charge the Powerstation XL Plus from the Powerstation Wireless — the Qi standard knows nothing about what types of devices you’re charging, and as funny as it sounds, it’s a valid use case since the Powerstation Wireless can also be left in and used as a standard Qi charging pad — leave it plugged into a USB power source and sitting on your desk or table and you can drop your iPhone on it for convenient recharging, and as an added bonus Mophie’s Priority+ charging feature will ensure that your iPhone gets charged first before charging up the battery pack itself. It’s a thoughtful design, although you’ll likely need to provide your own USB-C cable as the one Mophie provides is too short to reach between most power outlets and tabletops. The Powerstation Wireless packs are also coated in the same soft-touch silicone as Mophie’s Charge Stream Pad+, so they stay in place surprisingly well, and you won’t have to worry about your iPhone sliding off either, although the downside is that they will pick up dirt and dust much more quickly. Both Powerstation Wireless models also feature a 10-watt USB-A port so you can charge other USB-powered accessories over a more traditional wired connection, even at the same time as you’re charging wirelessly, although you won’t be able to charge from the USB-A port while the Powerstation Wireless is connected to power — when plugged in, the USB-A port is disabled and the Powerstation Wireless works to provide wireless charging only. A button on the side of Powerstation Wireless can be pressed quickly to check the battery level, which is displayed on the usual four LEDs, while a longer three-second press turns charging on or off. Using a standard 2.1A charger, Powerstation Wireless took about three hours to reach a full charge, while Powerstation Wireless XL took just under five hours. Charge Stream Powerstation Wireless and Powerstation Wireless XL are nice additions to Mophie’s ever-expanding lineup of battery packs and charging accessories. They’re both worth considering for those who are primarily looking for battery packs, with some modest caveats. 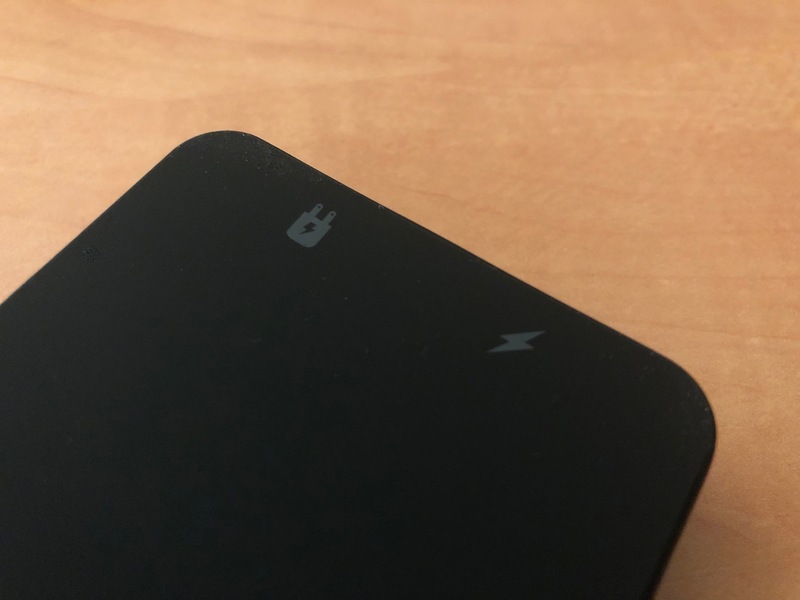 With Mophie’s Charge Stream Pad+ selling for only $20 less than the standard Powerstation Wireless, which can be left plugged in and used as a tabletop wireless charger, performing the same basic function. However, with Powerstream Wireless (and Wireless XL), you’ll only be getting slower five-watt charging speeds and you’ll need to supply your own USB power adapter and cable — both of which are included with Charge Stream Pad+, which also looks considerably nicer in our opinion. We’re also still not convinced that wireless charging battery packs are the most practical solution — they’re great for stationary use, but can be harder to use to juice up your iPhone when it’s in your coat pocket or laptop bag on the go. Of course, Mophie provides a USB-A port for traditional wired charging, so it’s flexible, but you’re definitely paying a premium for the wireless charging, even over Mophie’s own alternatives — the standard, non-wireless Powerstation XL provides the same 10,000 mAh of power for $30 less than the Powerstation XL Wireless, while the Powerstation XXL sells for the same price, with double the capacity. In short, Mophie’s Charge Stream Powerstation Wireless battery packs are really only for those who are sure they’re going to use the wireless capabilities, but if you’re one of those folks looking to be able to use wireless charging anywhere, they’re definitely a solid choice that are well worth a look.